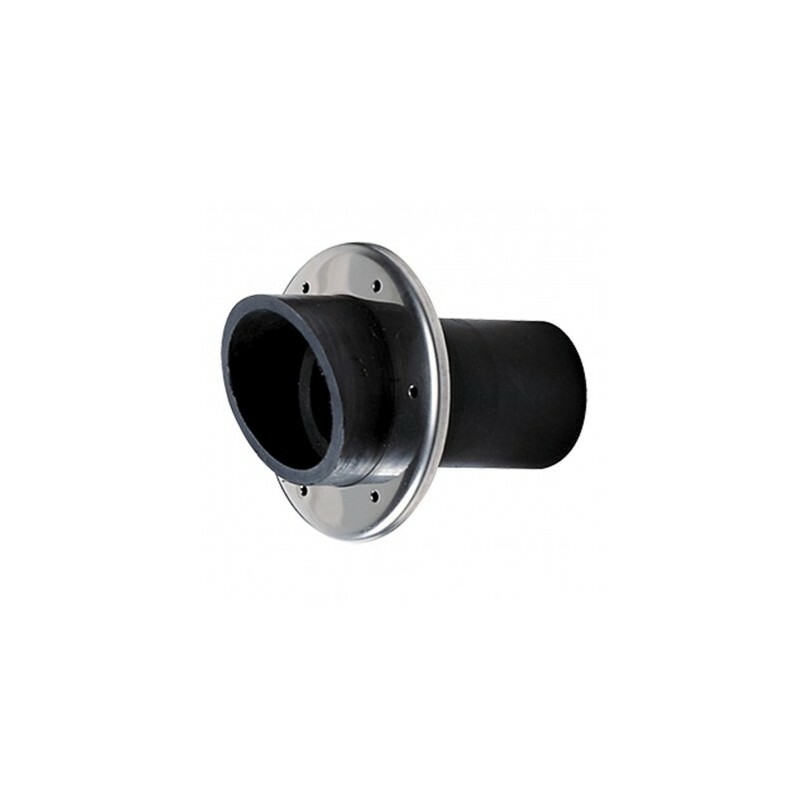 Vetus transom exhaust connections (made of EDPM rubber) 40 - 90 mm diameter. Can be mounted to the transom easily and flexibly. 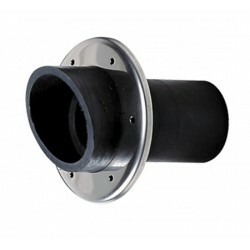 The rubber connector is mounted to the outside of the transom by means of a 2 mm thick stainless steel polished mounting ring. Vetus mufflers and goose necks with corresponding dimensions can be fitted directly. The exhaust hose can be fitted directly to this transom connection.